Most of us like consistency but not monotony. We want to be able to count on something but don’t want it to be repetitious. So, how do you get the one without the other? We’ve all experienced the fickleness of people saying one thing but doing another. It can make us wonder if there’s anyone who can be faithful and consistent in what they say and do. For example, take politics. It’s easy to become cynical when a politician makes promises they don’t keep after their election to office. For that matter, we’ve seen this in other aspects of life, including the church. So, how can this change? How can we find consistency, credibility, and faithfulness in our life? The trite old expression comes to mind — become the solution. But how? How can we find consistency, credibility, and faithfulness? At first glance, the idea of the coolness of snow and harvest time might not make sense. Wouldn’t the snow be bad for the harvest? It probably would be, but this is a figurative picture to stimulate the mind’s senses. You probably have some idea of what a harvest is like when workers bring in a new crop. It’s hot and dusty work, and the dust gets caked onto the worker’s sweaty bodies. If you were one of the workers in the field, what would you want at that point? How about an ice-cold drink of water from a snow-fed stream? Sounds good, doesn’t it? This is the idea of a faithful messenger or servant who refreshes the soul of his master. This needs to be true of us as followers of Jesus. Our master isn’t a boss or a parent or any other authority figure—it’s Jesus, the humble servant-leader who laid His life down for all people everywhere (Mark 10:45). We need to be a refreshment to those with whom we share the life-giving message of the gospel and to whom we are accountable—at work, at home, in relationships in our daily life. This extends God’s kingdom on earth. People in the world around us also need refreshment. When we are a refreshing bright spot in the lives of others, this reflects upon our Lord Jesus — our Master. I imagine it also refreshes Him. Jesus sends us believers out with His message written in our hearts. 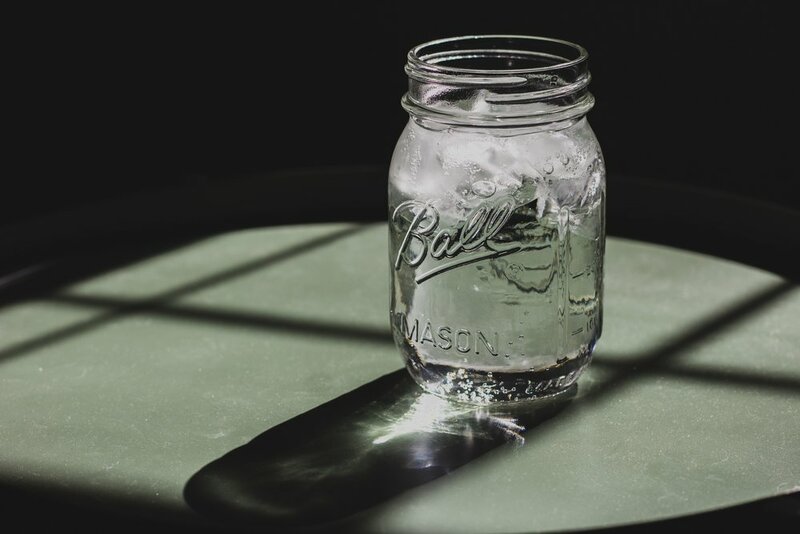 It’s a message of hope, love, and restoration that refreshes the hearts of a thirsty world. A world thirsty for compassion, faithfulness, and hope. When we are faithful in all we do in this life, we become a refreshment to others. We are also faithful messengers of our gracious Master — Jesus. Have you found yourself getting cynical about people, and your purpose in life? It’s hard not to get cynical and bitter but we are called to something better as followers of Jesus. Look around at the people in your life. How do you see them? Do you see people through cynical eyes or through the eyes of Jesus? Think of the ways other people have refreshed you. This gives you insight into how you can be a refreshment to others. Start with simple things and do it without expectations of anything in return. Say an encouraging word to those who serve you in some way—a server at a restaurant, someone at work, anyone who does something for you. Look them in the eye and let them know you see them and appreciate them. Greet people along the way of life each day. Again, look them in the eye, show them respect, say something encouraging about the day, them, and the Lord. Give someone a call—perhaps someone you’ve lost touch with for a while or someone you’ve recently met who needs encouragement. Invite someone for a cup of coffee or whatever. Offer to pray for someone while you’re with them. Even if the world doesn’t seem to change as much as you’d like, when you refresh others you’ll be refreshed and blessed, and I’m pretty sure it will bless the Lord and others you’re unaware of in the process. Go! Get Out of the Bubble! No doubt you've heard the phrase, living in a bubble or something similar. It was coined a few decades ago, based on the movie of a boy with an underdeveloped immune system who had to live in a bubble-like environment. This made-for-TV movie came out in 1976 (The Boy in the Plastic Bubble), combining the life stories of two boys with rare diseases. Of course, the movie dramatized the story (added some fiction) and a romantic theme far from reality. But the concept of living in a bubble—like an incubator—caught hold as a cultural expression. In real life, these boys were unable to venture out of their bubble-like environments without fatal consequences. And yet, their great desire was to live outside the bubble. Imagine what it would be like to live in a sterile environment without physical human contact. It wasn't long before people applied the phrase living in a bubble to other situations and people. For example, the office of the U.S. presidency is bubble-like, with the 24/7 Secret Service guard, and screening of people with whom the president will come in contact. Today it could apply to people focused on their cell phones, gaming, and social media in a virtual bubble. The phrase came to describe anyone isolated from the world around them. Sadly, this describes many Christian believers. Many Christians live in an insulated Christian world surrounded by other Christians and locked into Christian-oriented media and music. And, many Christians like it this way. They don't want to leave this protective bubble—their faith bubble. And so, the world around them is untouched by their Christian beliefs and values. Why? Intentionally or not, we've constructed an ivory tower of faith. This is not what Jesus had in mind when He spoke of the Kingdom of God on earth. Not at all. This bubble-like isolation isn't reflected in Jesus' teaching about the kingdom of God. What Jesus intended for His followers is seen in several parables and other teachings. In the Gospel of Luke, Jesus sent out twelve disciples to "preach the kingdom and to heal the sick" (Luke 9:1-6). Later, in the last year of the Lord's ministry on earth, Jesus sent out seventy others in the same way (Luke 10:1-12). This is echoed in all four of the gospels and termed the Great Commission. Jesus intended for His followers to be empowered and go out with His message to the world around them. For the "Boy in the Bubble," leaving the bubble put him at risk for his life. But it's different for us followers of Christ. Our spiritual life is at risk if we don't get outside the Christian bubble! We need to engage people who have different values and beliefs than our own. Here's a blog post by Pastor Cary Nieuwhof that addresses this— The Evangelism Conversation No One Is Having. I've posted similar or related articles related to sharing your faith without being aggressive or overbearing. But, we still need to get out of our faith bubble to engage people who don't share our faith. How will they know if we don't share God's redemptive message with them? Our spiritual life is at risk if we don't get outside the Christian bubble! Are you willing to get out of your own faith-bubble to engage people about faith? What Can We Learn from Dead Churches? Throughout the history of the Christian church, there have been cycles of life and death. Cycles of revival and decline are evident by their impact upon the culture around them—both good and bad. What about individual churches? You can find similar cycles of revival and decline. Some churches seem to thrive, while others struggle to survive. Is death and decline an inevitable destination for every church? Not if we're willing to learn from history. 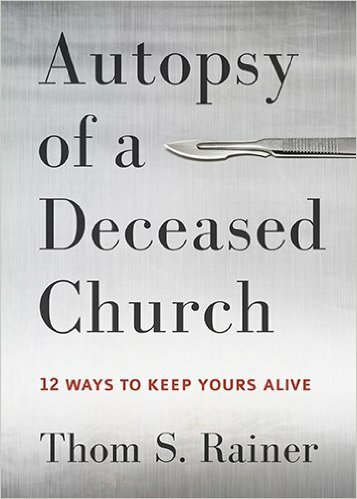 Thom S Rainer's book, Autopsy of a Deceased Church, doesn't sound like a fun read. I wouldn't call it fun, but it is enlightening, and in the end, encouraging. I could easily see various churches I've known or been involved with that identified with Rainer's post-life church assessment. These are actual churches Dr Rainer worked with and knew. He begins with a story of a church as if it had been a patient, in denial of her real condition. She no longer had vision and followed a familiar path to death. It's a sobering look at fourteen different churches who died. The author provides insights as to why, and later gives twelve responses to the question, "Is There Hope...?" All the insights Rainer writes about are helpful, but a few struck home in a sad way. He speaks of the Slow Erosion (Chap 2) that takes place, and of the inward and rigid focus a church develops. In the The Past Is the Hero (Chap 3), a fixation develops on the "good old days." I've seen this too often in churches who experienced high points during the Jesus Movement, but this applies to other churches also. Rainer says this was the "most pervasive and common thread" in all of the autopsies, which created a backwards-looking vision. This nostalgic, inward focus eventually leads to a church with ...No Clear Purpose (Chap 10). I've seen this way too often, churches that "do church," but have no clear direction or purpose except to exist. Rainer's small, succinct chapters yield insights into churches who didn't change, though the community around them did (Chap 4). Other churches rarely prayed together (Chap 9), and others became ...Obsessed Over the Facilities (Chap 11). A chapter that struck a sad, familiar chord is where, The Great Commission Becomes the Great Omission (Chap 6). As a missionary and pastor, this one grieves me the most. The focus of the church becomes so inward that the command to "Go!" is set aside and forgotten. I see this in both a lack of local evangelistic outreach and disinterest in world missions. This is pervasive throughout America today, along with a diminished focus on discipleship and equipping God's people. Another great insight looked at the life stages and decrease in pastoral tenure (Chap 8). Rainer lays out five general stages of relationship between a pastor and the church. From my own experience, I found these to be accurate and remember going through or seeing each stage. An autopsy isn't fun, unless you're a forensic doctor I guess. So the book doesn't end on a down note but with hope. Rainer lays out twelve responses to give hope. These are laid out in three categories of churches— those with sick symptoms, very sick, and dying. You might think the last category isn't going to have much hope, but you'd be wrong. It's all a matter of focus and perspective, which is lost in a sick or dying church. I was sent this book by my friend, Pastor Bill Holdridge, who established Poimen Ministries, and graciously allows me to be part of this ministry to pastors and churches. He's seen all of this more than I have. If you're a pastor and concerned about the health of your church, I encourage you to contact Bill or any of us with Poimen Ministries. So I recommend Dr Rainer's book for any pastor, no matter what your current role may be in church. It is well worth the read. Another resource I recommend is the blog of Pastor Karl Vaters, especially for pastors of small churches– New Small Church. Karl has a clear focus and purpose that is healthy and outward, and is a great encouragement to many. If any of this post encourages you, or you see its value for someone else, please feel free to share it! Thanks for reading!